Sweet taste, ideal for finishing and dressing every dish! The spicy touch enhances any meat or grilled vegetables in need of a little "picante". 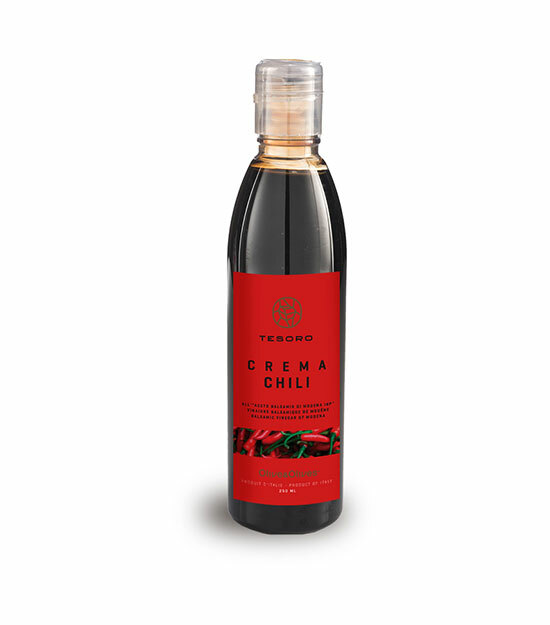 Grape must, Balsamic Vinegar of Modena 35% (wine vinegar, concentrate grape must), chili pepper 2%, modified starch. Contains natural sulfites present in the raw materials.